Skiatook, known as the Gateway to the Osage, is masked by rolling wooded hills, sparkling Skiatook Lake and one of the great expanses of tall grass prairie in the country. Just minutes away from Tulsa and Bartlesville, Skiatook is also just five miles from one of Oklahoma's most scenic recreational lakes. 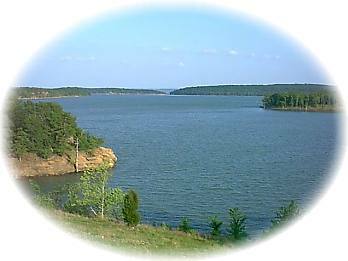 Skiatook Lake boasts almost every outdoor sport: fishing, hunting, skiing, sailing, camping, scuba diving and swimming. Skiatook offers country-style living with its rolling grasslands dotted with cattle and horses. The horse industry is a big business and is increasing every year ... from show horses to work horses and race horses. The home of 1927 Kentucky Derby winner, Black Gold, Skiatook is the home of numerous other winners of today. A visit to the Skiatook Museum may be of interest to anyone who enjoys history, especially for anyone in search of their family roots. Skiatook is home to the World's Largest Statuary, where ornamental concrete has been produced since 1967. The John Zink Boy Scout Ranch, southwest of Skiatook, is one of America's most unique facilities and includes two Boy Scout Camps. The "Healing Rock" is of special significance to the Native American heritage of Skiatook. Captain's Cemetery and Hillside Cemetery are both historically prominent to the area. The new cemetery, Osage Gardens Cemetery, has constructed a beautiful, Veteran's Memorial on the grounds. Historical records conflict as to the origin of Skiatook's name. One account offers that the town is founded on land which was once the home of a prominent Osage Indian, Skiatooka. The community around his home was called Skiatook's Settlement. Another account is that the name was taken from a compound word in the Cherokee language meaning either :"big injun me" or describing a large man or a vast tract of land. However, it is generally accepted that Cherokee Chief William C. Rogers founded Skiatook when he established a trading post in the Cherokee Nation just south of Bird Creek at a point where the stream easily crossed. Skiatooka, the Osage Indian, was a frequent trader at the post, and perhaps this is the connection which resulted in the town's name. Skiatook was incorporated as a town in the summer of 1905. Skiatook has a rich pioneer tradition, looking back with pride on over one hundred years of progress. Skiatook also looks ahead, seeking to build an even brighter future. Welcome to Skiatook, a premiere "hometown."